With the increased amount of international trade exchange that persists among countries all over the world, as people are constantly seeking to buy in regions of better quality, price and other preferences, the need for shipping containers can not be over emphasized. Knowing the right type of shipping container to use to transport what kind of goods is therefore imperative, before one takes the decision of transporting goods. As a leading manufacturer and supplier of shipping containers in China, Shanghai Metal Corporation offers several types of containers for different kinds of goods. We offer both dry bulk shipping containers and offshore containers. Our containers are all of international standard and are characterized by steel structural composition on the walls, timber flooring, secure and lockable doors, and most of all they are stackable, making them highly convenient. The most popular type is the 20 feet and 40 feet, 40 feet high cube standard shipping containers which are used for dry bulk shipping. This type of container can also be used for domestic transportation of goods, for instance on the back of a truck, in instances where people are moving goods such as furniture; or shipping of any dry bulk cargo. The open-top container is most convenient for heavy loads which can be unpacked with fork lifters. Open-side containers are suitable for domestic transportation or can be used as self-storage structures. Open doors allow full access to goods, hence handling loading and offloading is made easy. For cargo that needs to be kept regulated at certain cool temperatures, reefer containers are best. Offshore containers are also handy as storage structures. Our selection of these are the waste skips, open-top offshore containers work well as storage in back yards etc. Half height offshore containers are commonly used for storing goods where there is limited space. Their relatively small surface area allows one to save space, as they can be stacked as well. 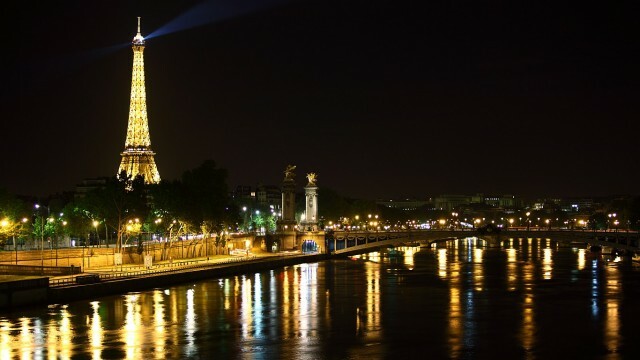 The Eiffel Tower, Louvre, Notre Dame, Versailles, Moulin Rouge, those are the places to visit in Paris. In 2009, the city of love also became famous of a creative marketing campaign. The Korean electronics company LG set up a creative marketing campaign for their ecological fridge. The company, one of South Korea’s largest chaebols, turned a 70 meter container ship into the world’s biggest fridge that sailed up the Seine from Le Havre to Paris between June 22 and June 25. The vessel transported cooking ingredients that the famous 3-star Michelin chef Alain Passard cooked for visiting journalists. LG’s ecological fridge uses a patented “Linear Compressor” technology that is to lower energy consumption up to 20 percent compared to other conventional fridges. The new fridge technology has also received an A+ rating from the EU. Refrigerated containers, or reefer containers, are mainly used for shipping temperature sensitive products even with extremely long distances. Reefer container technology enabled for instance the shipping of Camel Milk from the United Arab Emirates to Europe. Please, read the whole story here. As businesses are getting more aware of the benefits of refrigerated containers, new uses for them are emerging. Reefer containers are basically tools that combine mobility and cold chain. One can set up a temperature sensitive business and still vary its location. For example, Atlanta’s Botanical Garden used a refrigerated container to set up a mobile bio-secure research laboratory for their research on frogs in 2011. Reefer containers are also convenient in, say, open-air events where organizers need to keep their heavy loads of Red Bulls and Coca-Colas chilled all the time. 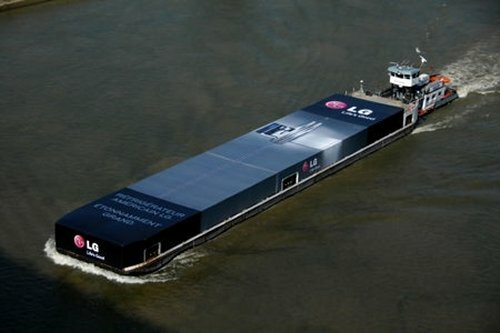 Like LG, Shanghai Metal Corporation‘s reefer containers also use environmentally friendly and energy efficient technology that generate a really low CO2 footprint. We also apply high standards in their quality assurance. To learn more about our refrigerated containers, please visit our website. Please also follow us on LinkedIn, Twitter, Facebook and Instagram.